So, what exactly is planned giving? Home»Blog»FINANCE»Giving»So, what exactly is planned giving? November 1, 2017 at 10:43 am. From the earliest days of the Gospel, funding the mission of the Church has been a necessity. It’s so vital, even the original 12 required a treasurer. And for centuries, the faithful have answered the call of contribution through sacrifice or abundance … from one pocket. This pocket contains our income, our liquidity, our cash. We give from this pocket because it’s what’s available to us — but, it limits our generosity. This pocket often contains only 10% of our net worth. There is a second pocket. It contains the growing value of our homes, IRAs, 401ks, life insurance — roughly 90% of our remaining estate. However, we don’t have easy access to these assets for the better part of our lives. Imagine if we could give from our 90% pocket? We’d multiply the force of our generosity. We can … if we plan ahead. The complex approaches include a variety of techniques, such as CRUTS, NIMCRUTS, FLIPCRUTS and LEAD TRUSTS. All require the donor to move certain assets, irrevocably, to these plans. In special limited situations, these approaches can bring benefits to donors and charities. A combination of attorneys, accountants and trustees are all required to structure, manage and administrate — often generating annual fees. The end goal is a gift delivered to charity. Fortunately, there is a way to accomplish generous giving without these complexities. How simple yet comprehensive can this be? Our eventual death is the universal point when these accumulated lifetime assets are collected and prepared to be passed on to our loved ones and charities. And while only a limited portion of us have estate assets that benefit from complex irrevocable plans, 100% of us will have the opportunity to create a simple Will or Trust. As each of us prepares to pass on, we will (or should) prepare an instruction sheet in the form of a Will or Living Trust. Our instruction will be to collect and liquidate our assets and distribute them to our designated beneficiaries. It is at this point that we can be generous in ways only dreamed of when we were limited to our 10% pocket. 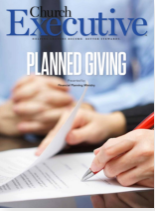 The golden era of planned giving through estate planning really began in the 1980s, when the federal tax code called for a 55% tax at death on each dollar of net estates exceeding $600,000. 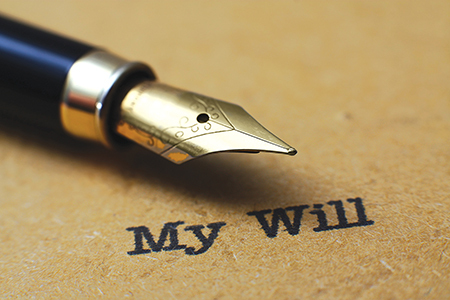 This instruction can be as simple as stating in our distribution: “I leave 10% of my estate to (Name Your Charity).” This designation is known as a bequest. It is one of the most popular and effective ways to gift, with an estimated $17 billion gifted to charities annually. Are you receiving your share? Why are gift bequests gaining in popularity? Because the documentation used is fairly simple: a Will or Living Trust. Nothing complex. And, it is so easy to add in a charitable gift designation to a document that we are already preparing for passing on our estate to loved ones . Now that we’ve identified the 90% pocket and the tremendous opportunity for donors and ministries to benefit from planned giving, how do we introduce this to our communities? Michael Prior, J.D., is president of Irvine, Calif.-based Financial Planning Ministry, a unique non-profit partnership of ministries dedicated to providing our members with a path to sound biblical stewardship through their estate plans. FPM has 24,000 members, 85 partner charities and $1 billion in gift designations. Before joining the organization, Prior served as executive pastor at Central Christian Church in Mesa, Ariz.